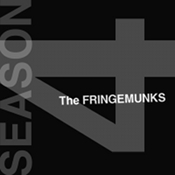 The Fringemunks recap Fringe Episode 4.21 "Brave New World, Part 1" with a parody of "Hey Jude" by The Beatles. Olivia is wondering how she was able to save Jessica Holt from a weird nanite issue. Peter reassures Olivia that they will figure this out together. Both of them have a showdown with David Robert Jones.